The Writing Bug: Conference Countdown: Is a Writer's Conference Worth the Investment? Conference Countdown: Is a Writer's Conference Worth the Investment? Is a writer's conference worth the investment? As a conference director, I know my answer to this question is a little biased, but I wasn't always a conference director. I entered this world of writing like everyone else; wide-eyed and excited about all the possibilities before me. I was hungry to learn all I could about writing and publishing. I read books about writing, I attended author talks at local bookstores, I joined a critique group and I attended writing conferences. My first conference was the Pikes Peak Writers Conference in Colorado Springs. It was exhilarating and overwhelming all at the same time. Initially I felt out of place, but I soon relaxed and set out on my mission to learn as much as I could over the course of the three days. And boy did I learn a lot. Some of it didn't make sense, but I started to learn the language of the publishing world and I received a ton of new tools for my writing toolbox. My head hurt by the end and I couldn't think straight, but it was an amazing experience. As the years went on I attended other conferences and with each one, I learned more and more, became comfortable with world of publishing and started making great contacts and connections. So, do I think a writer's conference is worth the investment? Of course I do. Conferences helped me become the writer I am today, which is the main reason I started the Northern Colorado Writers Conference 10 years ago. I wanted give writers in our area an opportunity to attend a conference without having to travel too far. Now people travel from all over the country to attend the event. Writing is an isolated process and it is hard grow in isolation. Conferences provide an opportunity to for us to learn from others in a short amount of time and stretch our thinking, which inevitably leads to growth. It helps us shorten the distance from frustration to success. And ultimately isn't that what we are all striving to become-- successful writers. Make this the year, you invest in yourself and your writing by attending a conference. Have you been to a writer's conference? 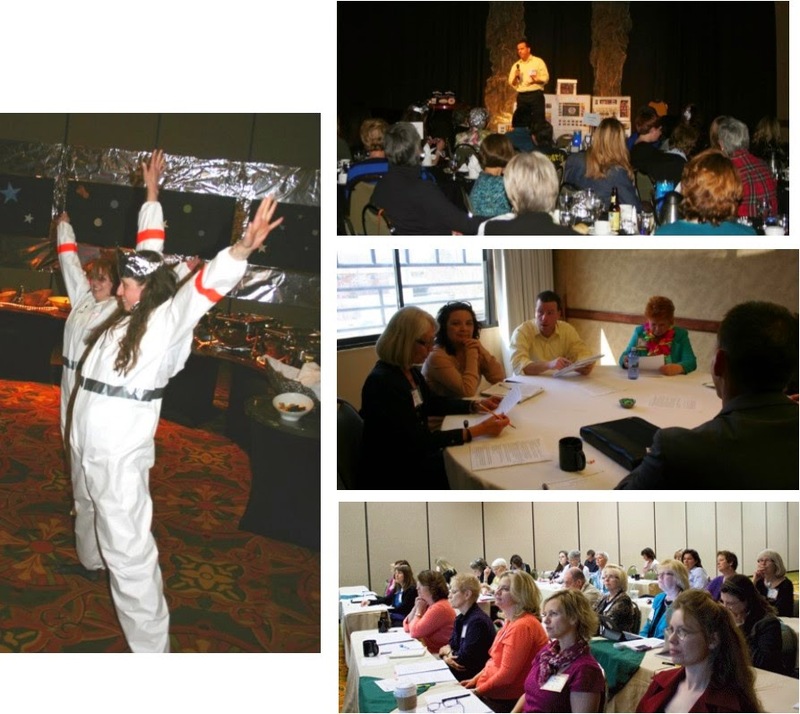 Looking for a conference in your area? Check out the Shaw Guides. You already know how much I love conferences and mystery fan conventions, Kerrie. Yes, they're worth the investment, but only if you get out of that lonely corner and start meeting people. It's as much about making new friends as it is learning the craft.